Great for Whiskey, Scotch, Taquila And Bourbon Lovers! 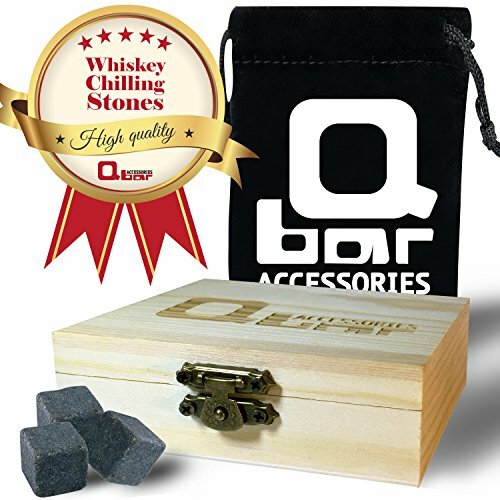 Qbar accessories present: Whiskey Chilling Stones Set - Cool your drink and charm your senses! Our impressive product is made from Pure Black Basalt Rock which is More Chilling than the traditional soapstone and Granite and thus is highly preferred. ★Chilll Your Beverage Perfectly - Never water down your drink again! ★Best Stone Size - 20x20 mm - With Rounded Edges - Never Scratch your glasses! ★Easy To Clean & Store - Wash with water only, And put it back to the Wooden Box! ★Wooden Box which looks very impressive, awesome Decoration in every house! ★The Velvet Pouch can be used to keep stones in the freezer to avoide aftertaste! 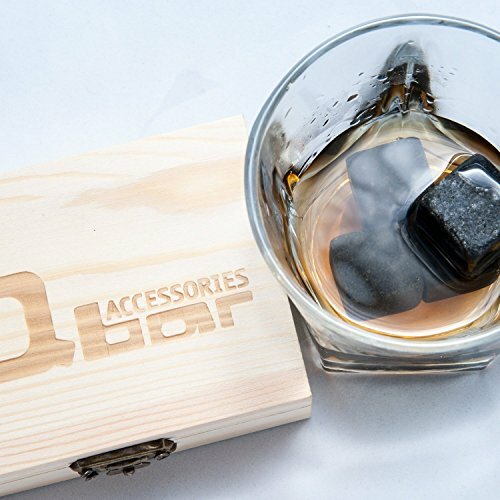 ★Can be used for all Beverage - Wine, Whiskey, Rum, Jin, Vodka, etc..
9 PCS of Black pure Basalt Whiskey Chilling Stones. 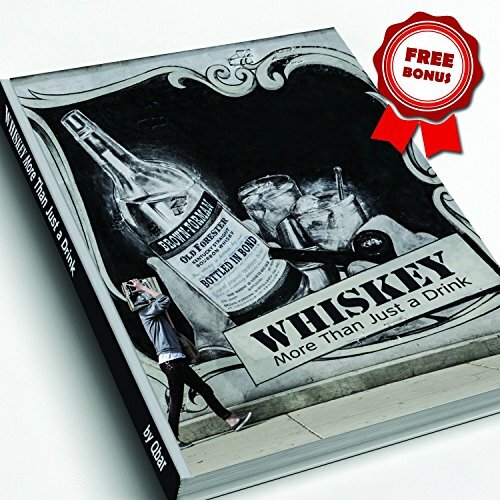 Exclusive Ebook: Whiskey - More Then Just a Drink. 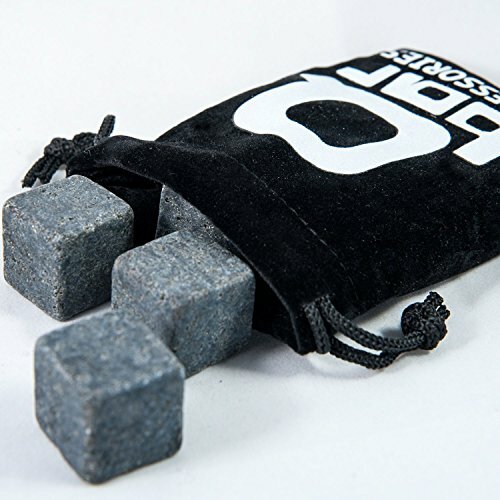 Purchase now and become the owner of a First-class Stylish Chilling Stone set! © All rights reserved to Qbar Accessories. The only dealer of this product. 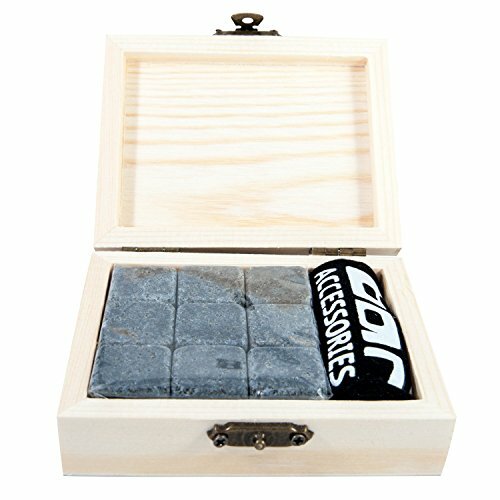 ★PERFECT GIFT➤ Deluxe Gift Box for Christmas, Father´s Day, Birthday, Valentines Day, Retirement Gifts, Anniversary, College Graduation and Promotion! You sure can impress even the man or woman "Who has everything". The packaging is done exceptionally well, giving it a look of style and chic, keeping in mind to make it ideal for the purpose of gift giving. Even the most picky people would appreciate this gift set includes the Whiskey Ebook inside! 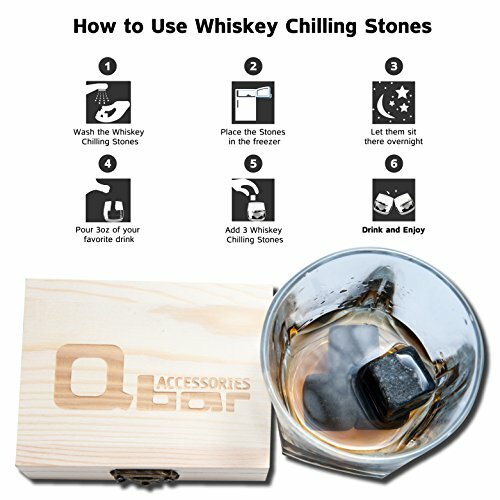 ★WHISKEY ON THE ROCKS➤ Chills Perfectly - Not Too Cold as Ice. 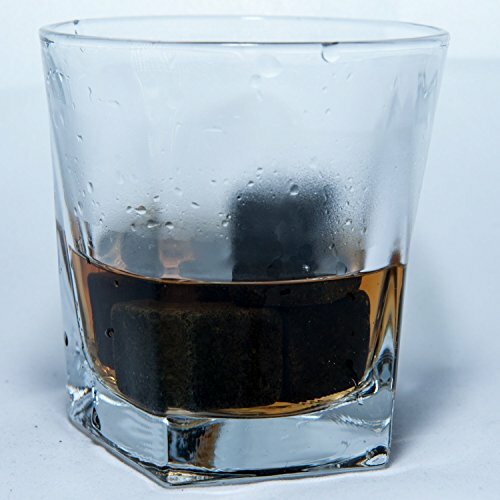 Our premium set of Whiskey Stones, made from Pure Black Basalt Rock, have this splendid quality of cooling your drink without spoiling its taste. The Last Sip Is Good as the First! Won't affect the taste or smell, and won't become watery! ★GREAT CHOICE FOR ALL BEVERAGE➤ The usage is not limited to whiskey, The Qbar Basalt Stones don't hold the flavor of the drink that they have been sitting in, What makes them perfect for daily use! ★EASY TO CLEAN & STORE➤ The stones can be easily used several times and need to be washed only with water after every use. 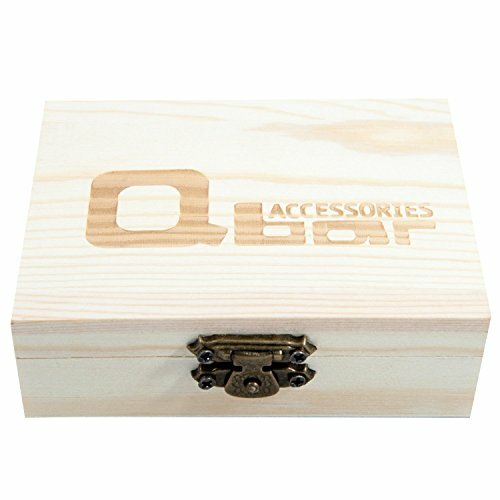 Simple storage comes with a Wooden Gift Box and a Free Velvet Storage Pouch! ★HAPPINESS GUARANTEED➤ Enjoy Every Single Sip Of Your Favorite Drink. We are sure that the stones will help you enjoy your drinks perfectly with guaranteed results. We are offer a 30-day money back guarantee!